World governing body Fifa has provisionally suspended the transfer bans imposed on Spanish sides Real and Atletico Madrid. The two clubs were punished earlier this month for breaching rules over the transfer of minors. The bans were due to take effect from when the Spanish transfer window shuts on Monday. The clubs are appealing against the bans, which would rule out registration of new players until July 2017. 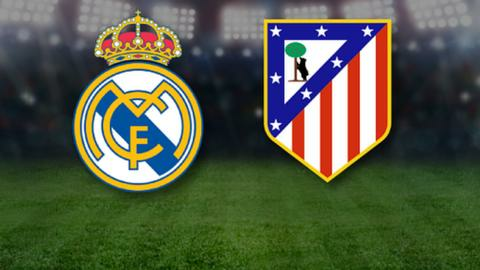 Atletico were also fined 900,000 Swiss francs (£816,800) and Real 360,000 (£246,700). "Fifa's appeals commission has decided to provisionally suspended the sanction imposed on the club," Real Madrid said in a statement. Atletico added: "The Fifa appeals commission has granted us the provisional suspension of the sanction whilst the appeal presented by the club is resolved." Barcelona were given a similar punishment in April 2014 and their failed appeals to Fifa and the Court of Arbitration for Sport ultimately enabled them to sign six players, including Luis Suarez, in the following transfer window while their ban was suspended. They went on on to win a treble of the La Liga, Champions League and Copa del Rey. The Press Association is reporting the appeals of the two clubs will be heard before the summer. If the appeals are rejected before the window opens on 1 July, they will not be able to register players, although they could sign players without being able to register them until the ban is lifted, as Barcelona did with Arda Turan and Aleix Vidal.